The Livingston Gardener, the first feature film for Jackson native and producer Missy Tanner, will begin shooting this month in Jackson and Canton. It was written and will be directed by Mississippian Rob Ryan. The psychological thriller has a budget of $100,000, which was all raised from Mississippi investors. In the movie, an investigative reporter finds himself at the mercy of a convicted killer during a live, televised prison interview. Missy Tanner began her career as an actor, starring in local theatre productions and commercials in Mississippi. In 1996 she packed up her car, and drove out West to Los Angeles where she landed speaking roles in several films and TV shows – Boogie Nights, Magnolia and Good Burger, to name a few. While in L.A., she began to pursue a career in advertising and worked for two of the top five film and television advertising firms while working on films like Mission Impossible: III, Lady In The Water and The Reaping. When her daughter was born, Missy decided to move back to Mississippi. Ryan, a Millsaps graduate, now lives in Charlottesville, Virginia, and has also written a book, Jonestown, along with several other short films, including Murderabilia and Grasshopper. Tanner has already sold the film to Synergetic Distribution for May 2015 digital download and DVD and is pursuing a theatrical distribution deal. If you want to keep up with the movie, like their Facebook page. If you want to keep up with all of the movie news in the state, join the mailing list of Film Mississippi here. 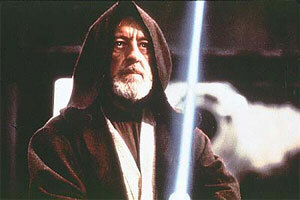 You've been pissed ever since Luke Skywalker got captured by a Wampa. Now is time for your revenge! Get your own bear-rug style Wampa! High-quality synthetic fur, plush pillow head and fearsome claws. 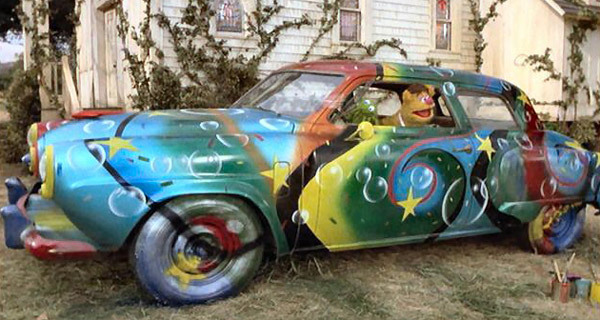 Rotten Tomatoes recently named the 50 Most Memorable Movie Cars. They generally only pick one car per film. Also, a car has to show up in a movie to make it on the list (so KITT and the A-Team van don't make it). And they say the rankings refer to how memorable a car is, not how cool it is (that would be a much different list). 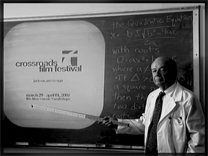 From April 3-6, 2008, The Crossroads Film Society presents its 9th Annual Crossroads Film Festival, incorporating over 70 films, local and national recording artists, pre- and post- parties and a variety of workshops and panels. Each afternoon kicks off with a Meet & Greet Reception for filmmakers and passholders and each evening ends with music at downtown venues. Screenings begin at 7 p.m. on Thursday, April 3, at Regal Parkway Place Theater and run through April 6 and include the first two films of Crossroads 2008 Global Lens Film Series, promoting cross-cultural understanding through cinema. Films from India and Argentina will be shown. On Saturday, April 5, Crossroads will offer a free Children's Storyboards & Flipbooks workshop and a screening of movies made by kids sponsored by the Canton Film Office at the Mississippi Museum of Art. Other workshops include Youth Animation, Teen Filmmaking, Sound for Film, New Media, Film & Music: Legal Issues, and Indy-pendent Filmmaking, featuring two Mississippians who, as teenagers, made a nationally noted recreation of Raiders of the Lost Ark. And don't miss the only film to win two awards at 2008's prestigious Sundance Film Festival! The Mississippi-made Ballast will screen Saturday night, with Mississippi-based cast and crew in attendance. Saturday's Awards Party at Hal & Mal's will recognize the best features, shorts, documentaries, student and youth films, animation and experimental films and music video. ALL-ACCESS festival passes are available online at www.crossroadsfilmfest.com or by phone at 800-838-3006 . Passes are $65 ($55 for Crossroads members) and get you into all events. The full schedule is available online here. A Jedi knight's lightsaber has been voted the top movie weapon, beating out Dirty Harry's Magnum .44 to the post in a 20th Century Fox poll of 2,000 film buffs. The Star Wars illuminated sword heads a mixed bag of offensive items, including the Hattori Hanzo katana from Kill Bill, Oddjob's unfriendly bowler hat and Indy's bullwhip. This week, Apple rolled out first-run movie rentals on the iTunes store in the United States - it will roll out internationally later this year. There will be more than 1,000 movies for online rental through iTunes by the end of February, with prices of $2.99 for older movies and $3.99 for new releases. Users can watch instantly over a broadband Internet connection, or download and keep the movie for 30 days while having 24 hours to finish the movie once they begin watching. New films won't be available for download until 30 days after the DVD is released. Cousin Eddie went on to star in his own made-for-TV Christmas Vacation - Cousin Eddie’s Island Adventure. Aunt Bethany (“Is your house on fire, Clark?”) is played by Mae Questel, the voice of Betty Boop and Olive Oyl. 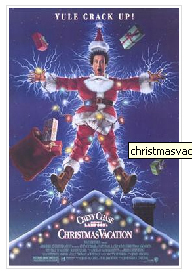 Christmas Vacation was her last movie.